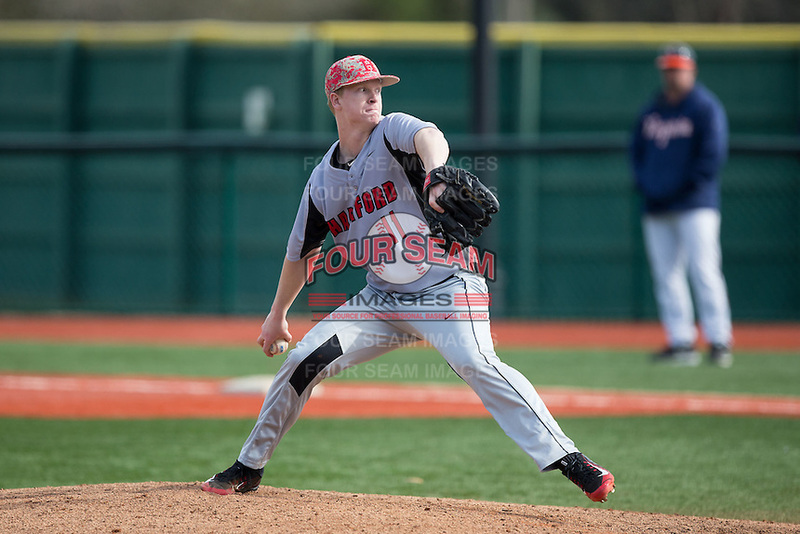 On a cold spring day Jake Regula came out for the Hartford Hawks and dealt. On March 23, 2018, Jake pitched 3 innings surrendering 2 hits, and striking out 6 against the Univeristy of Maine. During this dominating performance, Jake was able to lower his era from high 5's to now 4.42. This is the kind of start Jake needed, because in his earlier outings during the season he struggled with command. To be more specific, against South Alabama(6 runs-5 BB), Oregon State(1 Run,3 BB) and Wright State(2 Runs-4 BB) Jake was searching for answers. Jake found that remedy, because in his next three apperances he hasn't given up a run since March 10th. As with any sport it's all about confidence, and jake has that for the Hawks. Look for Jake to carry that positive movement going forward.